Based on the calls, texts and emails I’ve received in the past 48 hours, Heller would lose in a GOP primary to a door knob. The GOP base now despises Dean Heller. Obamacare has wrecked health care … wrecked the economy … killed middle-class jobs … exploded the welfare state … bankrupted small business and the middle class with massive premium increases … bankrupted Obamacare exchanges from coast to coast … lowered GDP and consumer spending (because after paying for health insurance, no one has any money left) … and added dramatically to the debt. Yet Dean Heller is the only Republican in America making excuses to keep it. True, there are a handful of Republicans angry that the repeal of Obamacare isn’t conservative enough. They believe it doesn’t go far enough to encourage free-market capitalism; that it doesn’t actually kill Obamacare. They want the Obamacare repeal to be bigger and bolder. But Heller is the only Republican senator to oppose the repeal of Obamacare because it does too much to undo Obamacare. 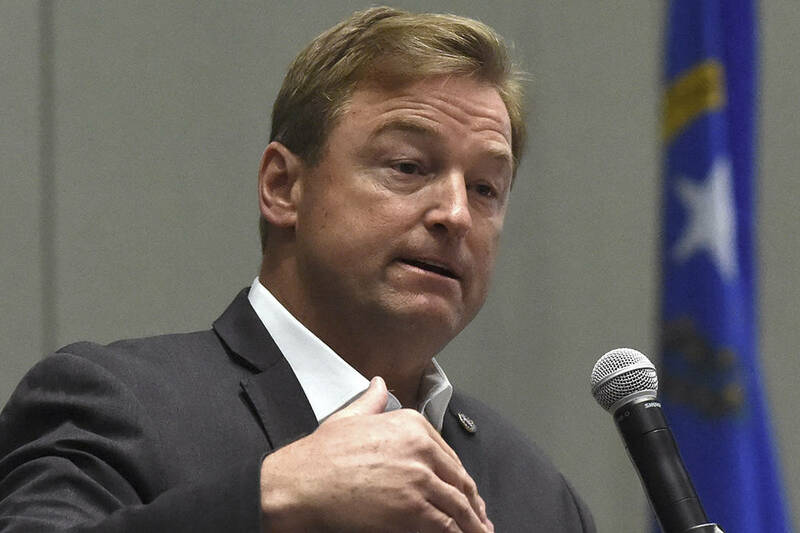 Heller wants more Americans on Medicaid. He wants to expand the welfare state. I’m one of the Nevadans who elected Dean Heller. I elected him specifically to kill Obamacare, not to expand the number of Nevadans on Medicaid or to defend or protect Obamacare. I’ve never been a one-issue voter. This isn’t one issue. Or some small issue. This is the whole enchilada. Obamacare is about whether America survives. Whether 28 million small- business owners survive. Whether the great American middle class survives. Whether we have any full-time, middle-class jobs left. Obamacare is Exhibit A for how to destroy the greatest economy in the world. Obama is the only president to produce eight consecutive years of GDP under 3 percent. The average GDP for all eight years of Obama was 1.3 percent. That’s the exact same GDP as for the entire Great Depression. And Obama also happened to add more debt than all previous U.S. presidents combined. The centerpiece of all this misery is Obama’s jewel: Obamacare. Does Heller realize the 19th out of 23 Obamacare co-ops failed this week? Minuteman Health out of liberal Massachusetts took $156.4 million in taxpayer loans with it. Obamacare destroys and bankrupts everything it touches. Yet Dean Heller wants to protect Obamacare and expand Medicaid? Can Heller do math? No matter what he does, nobody from today’s radical, extremist Democrat Party will ever vote for him. Not one liberal student at UNLV. Not one Black Lives Matter protester. Not one illegal alien. Not one person on Medicaid. Not one feminist for Hillary. Not one Bernie Sanders nutcase. Not one MoveOn.org zombie. Democrats are laughing at Heller. They know he’s doing their bidding … single-handedly blocking the repeal of Obamacare … killing President Trump agenda … and perhaps destroying the GOP’s chances of keeping Congress in 2018. Yet those same Democratic voters will try to throw him out office next year. In the meantime, Heller has lost his own base. Based on the calls, texts and emails I’ve received in the past 72 hours, Heller would lose in a GOP primary to a doorknob. But not because of “politics.” Because of the pain and misery of Obamacare. Doesn’t our own GOP senator care about the pain of his own voters? The people who are being ripped off to pay the massive Obamacare bill are members of the GOP base. Dean Heller’s base. Those are the people Heller just stabbed in the back. While the people Heller is “protecting” will never vote for him, no matter what he does for them. Contact Wayne Allyn Root at Wayne@ROOTforAmerica.com. Hear the nationally-syndicated “WAR Now: The Wayne Allyn Root Show” from 3 p.m. to 6 p.m. daily at 790 Talk Now.